"I try to avoid the media"
Here are some multimedia items from "Road Rovers" from fans that have been sent in over the years. Feel free to check them out. But please remember, that the items found here aren't mine. They belong to the artists who have graciously allowed me to post them here. A lot of hard work has gone into each item. Thank you. Here is a Real Media file of the Name Game by Hunter. Here is an AVI of Colleen morphing into a werewolf by Romer. Here is a MP3 of I would not have predicted this by Eddie Bailey. Here is the Road Rover Theme done in Midi format by Trey Tackett. Here is a the Road Rover Theme done in Midi format by Andy. Here is some music if the Road Rovers were a rock band done in Midi format by Eddie B. 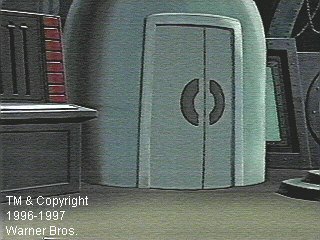 Road Rovers, characters, names, situations, and any multimedia items found here are trademarks of Warner Bros. © 2003. I nor this web site are in any way, shape for form connected to Warner Bros. This web page is not meant to infringe on any copyrights held by Warner Bros. or its employees but solely as fan appreciation.